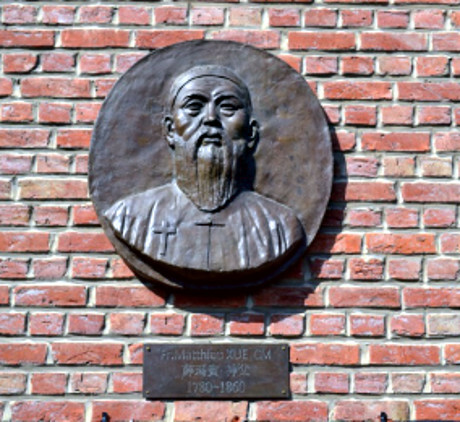 The Memorial Garden at Leuven's Chinese College is aimed to preserve the heritage of the missionary and cultural exchanges between the Low Countries and China throughout the centuries and promote a balanced vision of the complexity and richness of today's Chinese Catholic church and society. The garden was inaugurated on Tuesday August 21, 2018. Dr. Maria Liu, Executive Director of Verbiest Foundation opened the ceremony. Fr. Henri Debruyne CICM, was delegated by the CICM Provincial Superior to preside at the ceremony. 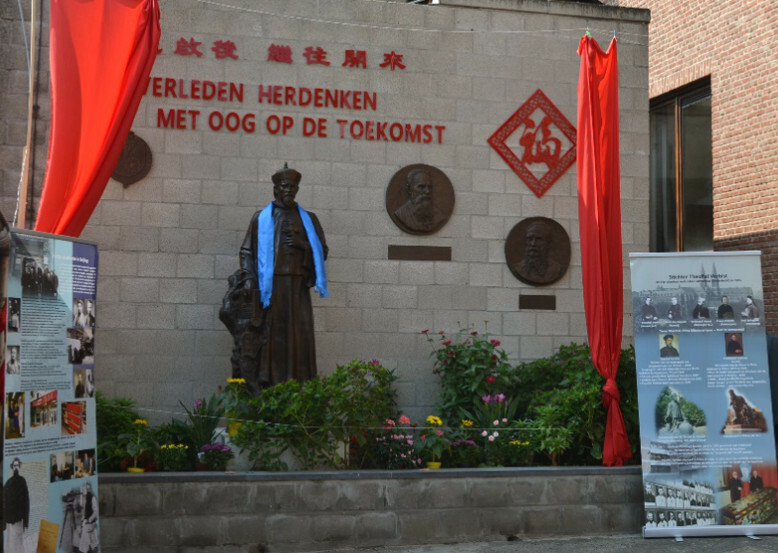 In the first stage of the Memorial Garden, among those commemorated with bronzen plaques are CICM fathers Jeroom Van Aertselaer and Joseph Rutten and two Chinese priests Fr. Matthew Xue CM and Fr. 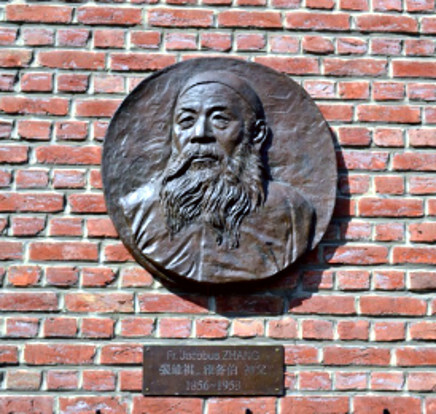 Jacques Zhang, both of Xiwanzi Diocese (Hebei Province) where CICM started its mission. ​The Memorial Garden is presided by a bronzen statue of Theophiel Verbist, founder of CICM. All bronze images were made in a religious art center in China. With this Memorial Garden at Leuven VF intends to invite visitors from the Low Countries as well as children from schools in the Leuven area for briefings on the history of Catholic Mission to China, exposing how this Mission developed, from a "give-take" relation to one of dialogue and mutual exchange between Local Churches and Religious Congregations of the Low Countries and those of China.